OUR MISSION: GET AS MANY PEOPLE ON SUP AS POSSIBLE! Our Goal Is To Get As Many People On The Water As Possible! Our mission from day one has been to share our love of Stand Up Paddle Boarding (SUP) with the world and get as many people as possible on the water! While we enjoy many outdoor activities, paddle boarding has truly become a passion! We offer several different ways to “Get your feet wet” and step into the sport of Stand Up Paddling. We choose to utilize & retail high quality Red Paddle Co paddle boards because we want to represent the sport we love with the best possible products available. One of the most popular ways we encourage people to live a rewarding & fit lifestyle while incorporating paddle boarding is thru our amazing Women’s Paddle-Fit Classes! Co-Owner and licensed personal trainer, Michelle Doty, leads our Paddle-Fit Classes here at NW SUP & Fitness. Michelle is an amazingly compassionate and hard working trainer who truly wants to see people succeed. Paddle-Fit Classes have been a huge hit for people of all fitness levels and paddle experience! 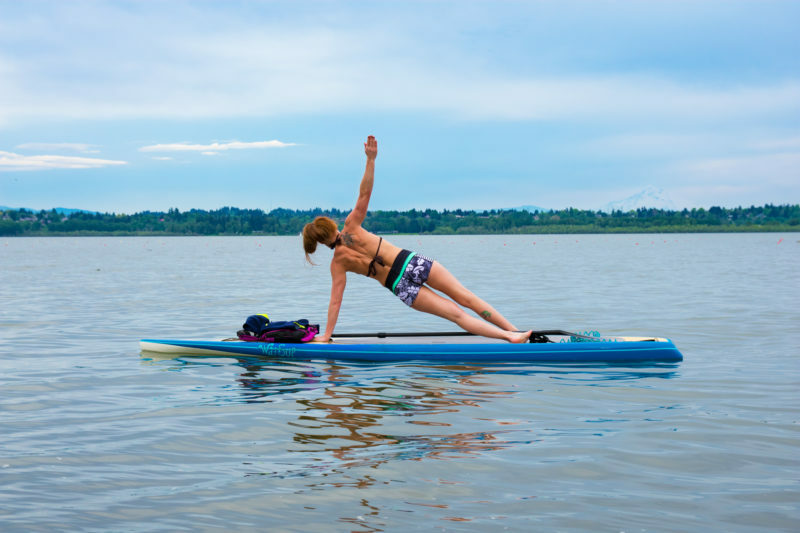 No matter where you’re at in your fitness journey, we guarantee you will benefit both physically and mentally from your time on the water with Michelle. *20% discount is for models used in Paddle-Fit Classes. Discounts on other models are available, ask us for current specials! Trying to figure out something new and exciting to do with your family over the Summer and keep the kids away from the TV? Out of town friends visiting that you haven’t seen in years and you want to avoid that awkward silence? Business Owner looking for new Team Building ideas? Our experienced SUP Guides will lead you on your own private paddle adventure! Hire NW SUP & Fitness as your personal Group Sup Tour Guides for you and up to 9 additional paddlers! Try something new and create memories that last a lifetime. There’s no better way to see the Pacific NW than from the water while paddling at your own pace. Most SUP Tours last 4-6 hours. We supply high quality Red Paddle Co paddle boards and all required gear, you just bring a good attitude and some snacks & drinks of your choice! 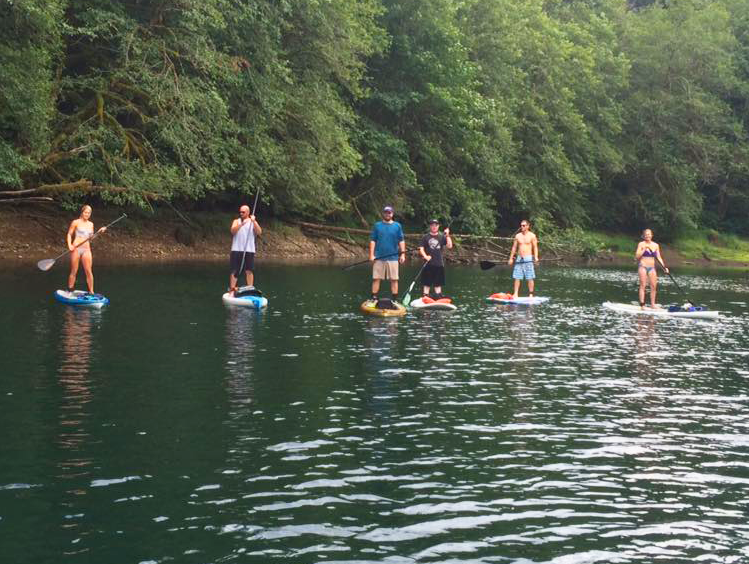 One of our most popular SUP Tours is the “Lake Merwin One Lane Bridge” paddle. We launch from the One Lane Bridge onto the Lewis River section of Lake Merwin. From the launch we’ll be paddling up the Lewis River, turning onto Canyon Creek at the Merwin Dam Spillway and following the creek until it eventually reaches the lowest Canyon Creek Falls where we’ll stop for a rest & photo opportunity! Expect to see lots of bottom feeding fish and trout in the crystal clear waters of Canyon Creek, and if you’re lucky you might even see fish jumping up the falls. Deep forest and moss covered rocks line both sides of the river, as well as a few smaller waterfalls along the way. There are a few small pebble beaches that make for perfect paddle pit stops and family photo op’s. Keep your eyes open for wildlife! We’ve seen river otter, beaver, osprey, bald eagles, and even the occasional Tiger Muskie which can grow up to 4 feet long and have tiger-like stripes down their sides. *20% discount is for models used in Group SUP Tour. Discounts on other models are available, ask us for current specials! 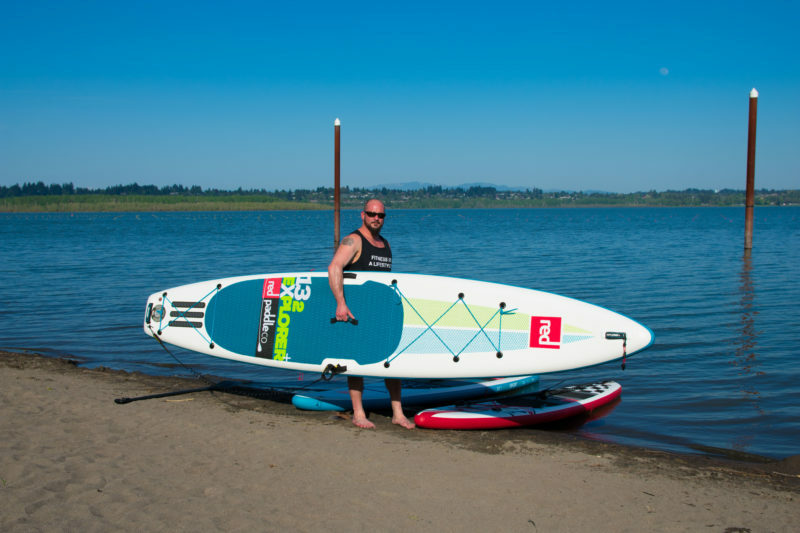 Why Red Paddle Co Inflatable Paddle Boards? I’ve been lucky enough to tour the Pacific Northwest and test paddle pretty much every major SUP Type & Brand on the market. I gotta say, the knock-off brand iSUP boards were a big disappointment, and were not even close to being comparable to any of my fiberglass paddle boards. They were about as stable as trying to stand on top of a pool toy! Luckily, we were introduced to some folks on Red Paddle Company inflatables who offered us a chance to try their boards. I was instantly hooked! If you’ve been on the water much at all, I’m sure you’ve seen the low pressure inflatables that don’t hold their shape. Don’t let yourself be lured in by the low price of the department store inflatables, you get what you pay for. On that note, while Red Paddle inflatables are going to cost you more than a knock-off department store model, they are considerably cheaper than other inflatable boards of the same caliber. exact approximately my problem. You’re wonderful! Thanks! however I know I am getting experience daily by reading thes fastidious posts. for a related matter, your website got here up, it seems great.